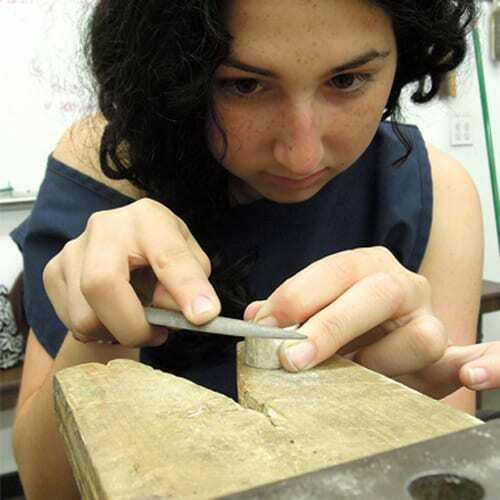 Want to know about upcoming sessions of Youth Exploration in Metal Jewelry? Sign up to be notified the next time it is offered. Make a fashion statement! Using copper, silver, and other nonferrous metals, you will learn jewelry and metal art skills to create trendy jewelry of your own design. In this hands-on class, you will be taught filing, sanding, texturing, and polishing techniques used in creating metal jewelry. You will leave this class skilled in jewelry making, wearing a project of your own design!